Welcome back to Flash Friday. Today I’m going to talk about something special in my collection. To set it up we have to travel back in time. According to the dates I’ve looked up, I had to be 4 may 5 at the time. I was still living just outside Detroit; Warren, Michigan to be exact. There was a convenience store just a few minutes down the road called Vans, my family would go there all the time. 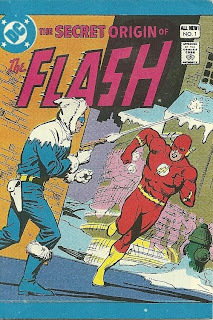 On one such trip I got my first Flash comic. This is the cover to that book. 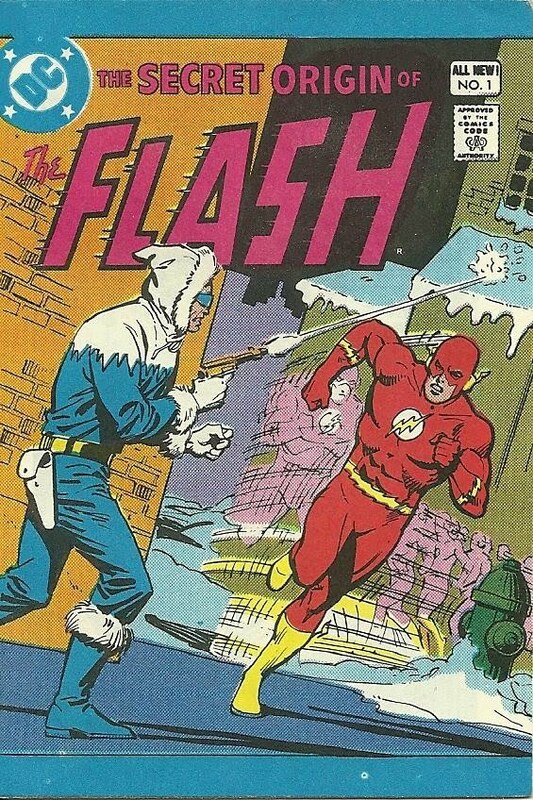 No hyperbole here, this comic is the one that made me a Flash fan. But this book is a little different. What’s so different about it? Check it out after the jump. 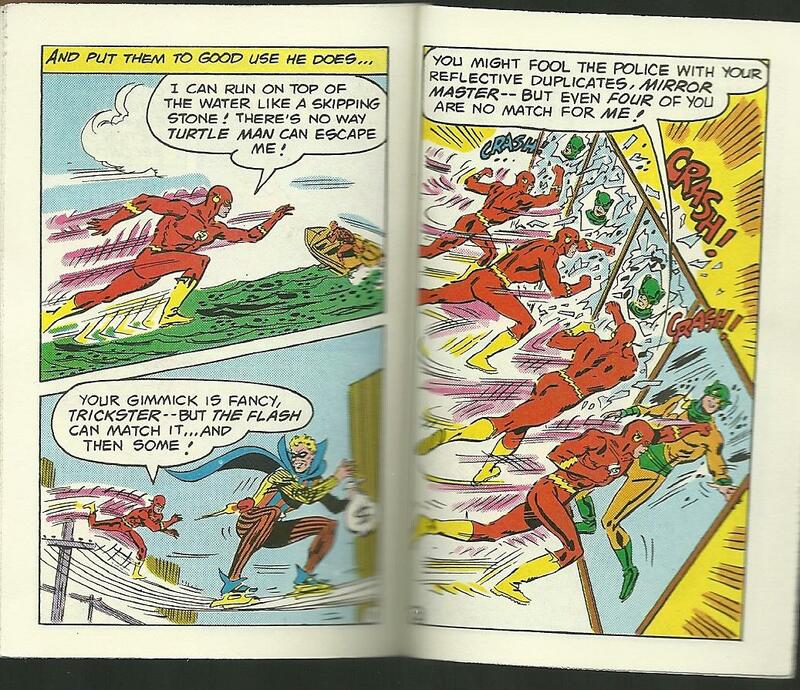 Here it is, the Secret Origin of the Flash mini-comic. Published in 1980 and put out by Leaf it came bagged with “Tart n Tangy” candy. As you can see it is small, 4 ¼ x 2 ¾. If you count the front and back covers as pages, it is 16 pages long. The series had 8 different books, all of them origin stories. You could get Aquaman, Batman, Flash, Green Lantern, Hawkman, Justice League, Superman, and Wonder Woman. I remember having all of them, but the Flash is the one that really grabbed me. I apologize for the quality of the interior scans. The copy that I own isn’t the same copy that I got some 30+ years ago, but it is pretty old. On top of that, the way the book is bound it is impossible to lay the book completely flat without putting a lot of pressure on the spine. You still get the general idea of what was inside though. 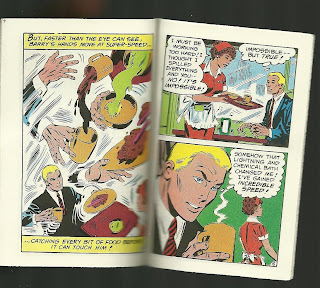 That splash page in the diner was amazing to me, I remember staring at it. Hell I still stare at it. It is my favorite part of Barry’s origin. 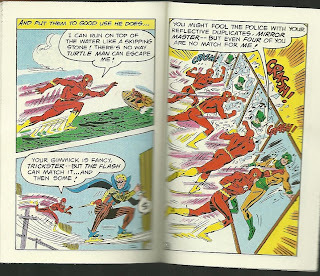 The book wraps up with a few panels of him taking on members of the Rogues. No sign of Professor Zoom; that might have been too much to explain in 16 pages. The Leaf mini-comics aren’t too difficult to find online and when I got mine cost me around five bucks. If you get a chance to, check them out. 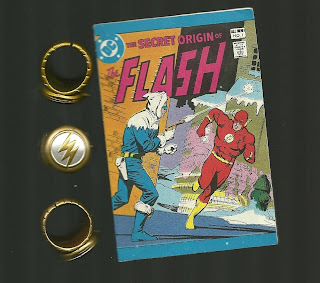 I know my Flash one sits proudly in my Flash display case, but I’m pretty biases towards it.